Draft: 2014, Chicago White Sox, 19th rd. with a 3.06 ERA, one save and 110 strikeouts over 51 career appearances (23 starts) … earned Academic All-Big Ten honors in 2013 and 2014 … was on the Nebraska Scholar-Athlete Honor Roll in Fall of 2011 and 2013 and Spring of 2012 and 2013...Graduated in 2010 from Sunrise Mountain High School in Peoria, Ariz.
Split the season between the White Sox (37 appearances) and Class AAA Charlotte (31)....Posted a 2.66 ERA (6 ER/20.1 IP) over 20 appearances at Guaranteed Rate Field, compared to a 7.15 mark (9 ER/11.1 IP) in 17 outings on the road...Averaged 9.95 strikeouts per 9.0 IP (35 SO/31.2 IP) with a 3.50 strikeout-to-walk ratio (10 BB), but yielded a .301 (40-133) opponents average with a 1.58 WHIP...Made his first career Opening Day roster, working 0.1 scoreless IP in the season-opener on 3/29 at Kansas City...Worked 1.2 perfect IP on 4/20 vs. Houston … suffered his first loss on 4/22 vs. Houston (1 ER/0.0 IP) … registered his first hold on 4/27 at Kansas City...Matched his career-high with 2.0 scoreless IP on 5/18 vs. Texas … also threw 2.0 IP on 9/26 vs. Cleveland (career-high four strikeouts) and 9/29 at Minnesota... Was optioned to Charlotte on 6/6, where he threw 1.0-plus IP in 26 of his 31 appearances and limited right-handers to a .222 (12-54) average... Lowered his ERA with the Knights from 4.15 (6 ER/13.0 IP) in the first half to 1.53 (3 ER/17.2 IP) after the break … did not allow a run over his final nine outings (8.2 IP)...Was recalled by the White Sox on 9/1, recording a 5.84 ERA (8 ER/12.1 IP) over 11 outings in September …allowed his only homer of the season on 9/7 vs. the Angels (Andrelton Simmons)....Entered the season ranked by MLB.com as the No. 20 prospect in the White Sox system. Began the season with Class A Winston-Salem before earning promotions to Class AA Birmingham, Class AAA Charlotte and the White Sox during the season...Limited opponents to a .178 (13-83) average with the White Sox, including a .171 (7-41) mark by left-handers...Posted a 2.70 ERA (4 ER/13.1 IP) in 15 games at home (7.27 mark in 15 road appearances)...First batters faced hit .125 (3-24) with four walks … allowed 11.8 percent (2-17) of inherited runners to score...His contract was purchased from Charlotte on 7/27 … made his major-league debut that night vs. the Cubs, allowing one run on one hit in 1.0 IP … struck out the first batter he faced, Anthony Rizzo, and surrendered a homer to Kyle Schwarber...Surrendered a game-ending home run to Mitch Moreland in the 11th inning on 8/4 at Boston...Worked 2.0 scoreless IP on 8/11 vs. Kansas City for his first major-league victory...Recorded a 0.96 ERA (1 ER/9.1 IP) with five holds, eight strikeouts and a .133 opponents average over 14 September appearances...Ended the season with a streak of 11 consecutive scoreless appearances (9/9-30), allowing just one hit with four walks and six strikeouts over 7.0 IP...Made 28 combined appearances (one start) between Winston-Salem, Birmingham and Charlotte, going 1-5 with a 3.31 ERA (18 ER/49.0 IP), five saves and 54 strikeouts...Opened 2017 with the Dash and made eight relief appearances, limiting lefties to a .207 mark (6-29)...Made 17 appearances, including one start, with Birmingham… converted all three of his save opportunities...Made his only start on 6/7 at Tennessee (1 ER/2.2 IP)...Was promoted to Charlotte on 7/17. April 12, 2019 Charlotte Knights activated LHP Aaron Bummer from the 7-day injured list. April 4, 2019 Charlotte Knights placed LHP Aaron Bummer on the 7-day injured list. March 18, 2019 Chicago White Sox optioned LHP Aaron Bummer to Charlotte Knights. September 1, 2018 Chicago White Sox recalled LHP Aaron Bummer from Charlotte Knights. June 7, 2018 Chicago White Sox optioned LHP Aaron Bummer to Charlotte Knights. July 27, 2017 Chicago White Sox selected the contract of LHP Aaron Bummer from Charlotte Knights. July 17, 2017 LHP Aaron Bummer assigned to Charlotte Knights from Birmingham Barons. May 5, 2017 LHP Aaron Bummer assigned to Birmingham Barons from Winston-Salem Dash. April 6, 2017 LHP Aaron Bummer assigned to Winston-Salem Dash from Charlotte Knights. January 23, 2017 Chicago White Sox invited non-roster LHP Aaron Bummer to spring training. September 1, 2016 LHP Aaron Bummer assigned to Charlotte Knights from Winston-Salem Dash. August 19, 2016 LHP Aaron Bummer assigned to Winston-Salem Dash from Great Falls Voyagers. July 19, 2016 Great Falls Voyagers activated LHP Aaron Bummer from the 7-day disabled list. July 7, 2016 Great Falls Voyagers sent LHP Aaron Bummer on a rehab assignment to AZL White Sox. June 16, 2016 Great Falls Voyagers placed LHP Aaron Bummer on the 7-day disabled list. September 9, 2015 Great Falls Voyagers activated LHP Aaron Bummer from the 7-day disabled list. June 17, 2015 Great Falls Voyagers placed LHP Aaron Bummer on the 7-day disabled list. June 16, 2014 LHP Aaron Bummer assigned to Great Falls Voyagers. 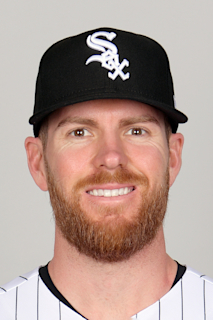 June 10, 2014 Chicago White Sox signed LHP Aaron Bummer.